Welcome to the JVNP 2.0 Update featuring a JV request courtesy of fellow JVNP 2.0 Partner Tanner Larsson (Ecommerce Evolved Book Launch affiliate program JV invite), Buzz Builders (Michael Somerville – SocialResponder launch) and More … in Today’s Tanner wrote the book on e-commerce – simply give it away to earn initial and recurring sale affiliate commission edition. Short On Time? Jump Right On Over To The JV Page For Complete Launch Details Including Affiliate Registration. #1. You Are Going To Get Paid To Give Away Awesome FREE Value To Your List. 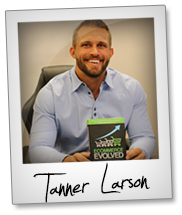 The front end of this launch is a Free Copy of my new Ecommerce Evolved Book. This is a 331 page ecommerce blueprint that your customers are going to get shipped to their house for free. Unlike most launches, you won’t have to hammer your subscribers over their heads to get them to buy. So not only will your customers LOVE you for giving them the opportunity to get ecommerce evolved, but it also sets the stage for you to make a TON of money through the funnel. #2. Earn Up To $167 AND $15 Per Month In Recurring Commissions For Every Book You Give Away. If you know me, then you know that recurring income is my specialty and this launch is designed to stuff your pockets with front end cash AND create a nice hands, free recurring income for you that comes in month after month. Our average Retention rate is over 6 months. #3. $20,000 JV Contests and Massive Individual Milestone Contests For Each Step Of The Funnel. Let’s face it…Most affiliate contests look great on the surface and generate a lot of buzz, but really only reward the top few JV’s and leave everybody else with little to nothing. I don’t like that…and when you combine that with the fact that giving away a free book isn’t your normal promotion, I decided to break the rules a do something VERY Different! Each and every JV has the ability to earn up to $18,649 in Prize money In addition to their regular one time and recurring commissions. #4. This Is A PROVEN And EVERGREEN Cold Traffic Funnel With $4.18 EPC’S. I run and grow my businesses through paid media and my company is VERY GOOD at converting traffic into buyers AND maximizing the ACV to rake in the most profits. This funnel incorporates all the cool tricks, tactics and systems that real ecom businesses use on a daily basis, but that most IMmers ignore. – Running multi-network retargeting campaigns with both video and image ads. – Using automated Front end cart abandonment Campaigns. – Automated 2nd Chance campaigns for the order bump and all upsells. – We’ll also be using our phone team to call all of the payment declines to help them make their payment. This launch is a great way for you to make a TON of money, by providing your people with valuable free training that they can immediately use to make Q4 their best yet. >>> Click Here To Get More Details & See All The Contests. With that, thank you for your time and I look forward to making you a ton of cash during this launch. Why should you support the Constant Profits Club 7 day reopening promotion? $955 per sale commission … The product converts really well (our launch did 7 figures) … The webinar has a ton of quality content people love … Over 55% of our members made money, which is completely unheard of in IM. 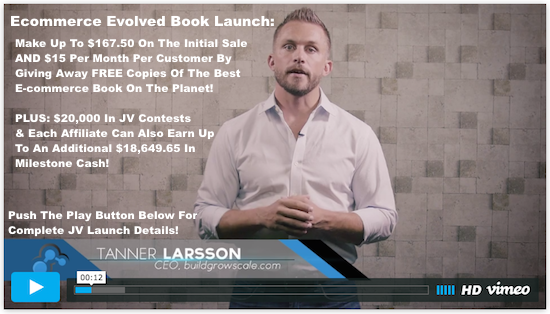 JV/Affiliate registration page => Andrew Hansen + Sara Young – Constant Profits Club – Limited Time Reopening JV page. Promote Anytime During The Month Of October! Discover complete automation within facebook messenger, that forces your customers to buy more and engage with your marketing systems. Turn Messenger into an automated selling platform, that doesn’t require a landing page or website. Access 1 billion users with our platform starting today. Michael Somerville – SocialResponder JV page.